The Achilles tendon is the strongest tendon located in the human body. Its purpose is to connect the lower leg muscles and calf to the heel of the foot. This tendon is responsible for making movement such as walking, running, and sprinting possible. Since this tendon provides an enormous amount of mobility to an individual, any injuries inflicted to this tissue should be immediately brought up with a physician to prevent further damage. The most common injuries that can trouble the Achilles tendon are tendon ruptures and Achilles tendinosis. Achilles tendinosis is the milder of the two injuries and can be recognized by the following symptoms: inflammation, dull to severe pain, an increased flow in the blood of the tendon, portions of the tendon growing in thickness, and a slower movement time. Tendinosis can be treated via several methods and is often diagnosed by an MRI. An Achilles tendon rupture is trickier to remedy, by far the most painful injury and is brought by the tendon ripping or completely snapping. The results are immediate and absolutely devastating, and will render the patient immobile. If a rupture or tear is involved, operative procedures are available, as well as some non-operative methods. Once the treatment begins, depending on the severity of the injury, recovery time for these types of issues can take up to a year. Simple preventative measures can be taken as a means to avoid both injuries. Prior to movement, exercising, running, or walking, a few minutes may be taken to stretch out the tendon area by doing warm ups. Calf raises, squats, leg curls, leg extensions, leg raises, lunges, and using the leg press are all suggested ways to help strengthen the lower legs, and will promote Achilles tendon health. Many problems arise among athletes and people who overexert themselves while exercising or who do not properly warm up before beginning an activity. Proper, comfortable shoes that fit correctly can also decrease tendon injuries. Some professionals also suggest that when exercising you make sure that the floor you are on is cushioned or has a mat, as this will relieve pressure on the heels. As always a healthy diet will also increase tendon health. It is very important to seek out a podiatrist if you believe you have an injury in the Achilles region as the impact that it can have could cost you your ability to walk around freely. Flat feet is a foot condition in which the arch of the foot either drops or is never developed. About 20-30% of the population generally has flat feet because their arch never formed during growth. While it is common in babies and small children, it can become a problem if the arch never develops. For adults, the development of flat feet can be brought upon by injury, or may even be a result of pregnancy due to the increased elasticity; however, in adults the flat footedness is usually permanent. Having flat feet can sometimes make it difficult to walk due to the stress it places on the ankles. The general alignment of your legs is thrown off because the ankles move more inward which can cause some major discomfort. This also has a big effect on the knees as many people that have flat feet often have arthritis in that area. 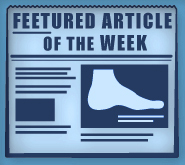 However, in many cases, flat feet does not cause any pain and it should not be a cause for concern in that case. Foot surgery may be necessary for a variety of reasons, but it is normally reserved for cases in which less invasive procedures have failed to help with the problem. Cases in which surgery may be deemed necessary include, but are not limited to, surgically removing deformities of the foot (such as bone spurs and bunions), problems with arthritis that have caused severe bone issues within the foot, and reconstruction to attend to injuries caused by accidents and congenital malformation (such as club foot and flat feet). Foot surgery may be necessary for individuals of all ages and races. If you find yourself in need of foot surgery, the reason why the surgery has been found to be necessary will dictate exactly what kind of surgery you need. If you have to have a growth, such as a bunion, removed, then you may undergo a bunionectomy. If your bones need to be realigned and fused together, then you may undergo a surgical fusion of the foot. If it is nerve pain and problems that you are enduring, then you may need to undergo surgery in which the tissue that surrounds the painful nerve is surgically removed. Normally other, less serious treatments are first applied when a problem is discovered, but if those treatments are found to be ineffective, surgical techniques are considered and used. Even though surgery of the foot is usually reserved as a last resort by most physicians, there are some benefits if you and your doctor choose to use surgery to fix the problem. The first is that the pain associated with the issue is normally relieved, which means that you can finally resume the activities your foot problem was preventing you from participating in. The second benefit is that, once you have the surgery completed, the problem is generally eliminated since it has finally been addressed. Podiatric biomechanics is a particular sector of specialty podiatry with licensed practitioners who are trained to diagnose and treat conditions affecting the foot, ankle and lower leg. Biomechanics deals with the forces that act against the body causing an interference with the biological structure and focuses on the movement of the ankle, the foot and the forces that interact with them. At some time in our lives we will all experience foot problems, regardless of our lifestyle or age, and we all take our mobility for granted until we are in pain. Twists or turns can cause problems and apply stress to the feet, and that pain will spread from the foot structure to the surrounding tissues. The pain will concentrate in the foot and ankle, but may eventually spread up into the knees, hips and back. The history of biomechanics dates back to the BC era in Egypt where evidence of professional foot care has been recorded. Afterwards, during the first century AD, corns on feet were recorded as specifically growing on feet and toes. In 1974 biomechanics gained a higher profile from the studies of Merton Root, who claimed that by changing or controlling the forces between the ankle and the foot, corrections of conditions could be implemented to gain strength and coordination to the area. His basic principles of thermoplastic foot orthotics are still in use throughout the industry today. Modern technology improvements are based on past theories and therapeutic processes providing a better understanding of podiatry concepts for biomechanics. Computers provide accurate determinations about the forces, movements and patterns of the foot and lower legs with the most important information captured. Today’s knowledge of detailed measurement of external and internal forces in the foot is critical to the individual’s treatment. Like most health industries, precise determinations assist the practitioner in diagnosing and prescribing the best treatment for health improving results. Advances in materials and more awareness of biomechanics have developed enhanced corrective methods, offering further options for foot-related injuries. Shoe orthotics options have expanded to treat walking inability, helping to realign the posture deviations caused by hip or back health occurrences. Attention to posture and foot mechanics uses individual insoles to position the foot, aligning the ankle and leg. The corrected positioning comforts the pressure and helps to ease the pain. Understanding foot biomechanics can help improve and eliminate pain, stopping further stress to the foot. However, these results can only happen if one seeks a podiatrist who specializes in biomechanics.